Manhattan, KS’ The After Party were involved in a van accident after their Boston show on Saturday night with Allstar Weekend. 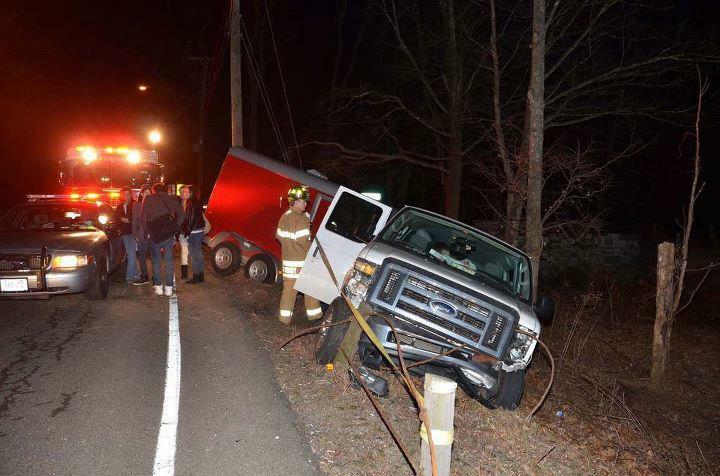 While traveling through Roxbury, CT en route to Staten Island, NY, the band’s van veered off the road and over a guard rail. The van was totaled, but luckily no one was injured. The After Party has picked up a new van and plans to finish out the remainder of their tour dates with Allstar Weekend. "Wrecking the van was one of the scariest moments of my entire life and I am so thankful no one got hurt. We seriously appreciate all of the love our fans are giving us, and we are going to do everything in our power to make it all of the remaining shows on the All The Way Tour,” says Bell.